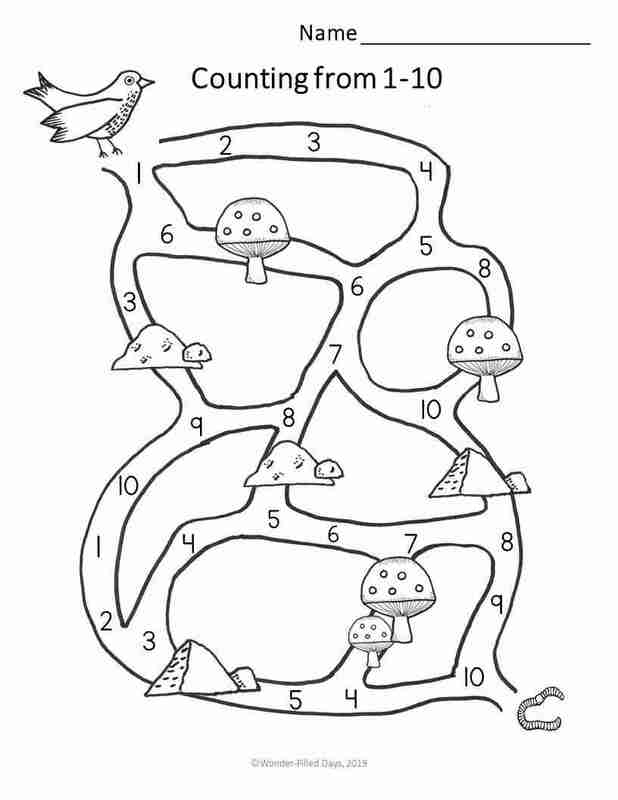 I’ve recently created some Nature-themed preschool worksheets. While I don’t think worksheets are an essential part of a preschool curriculum, some children love doing them. 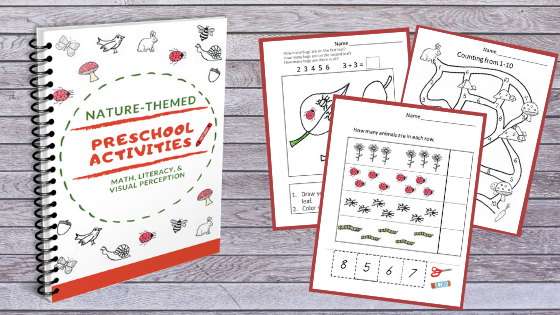 This set of worksheets cover math, literacy, and visual perception. They have a fun nature theme with hand-drawn images. I’ve added a touch of color here and there for interest, but I know we’re all ink-conscious so I’ve kept it to a minimum. 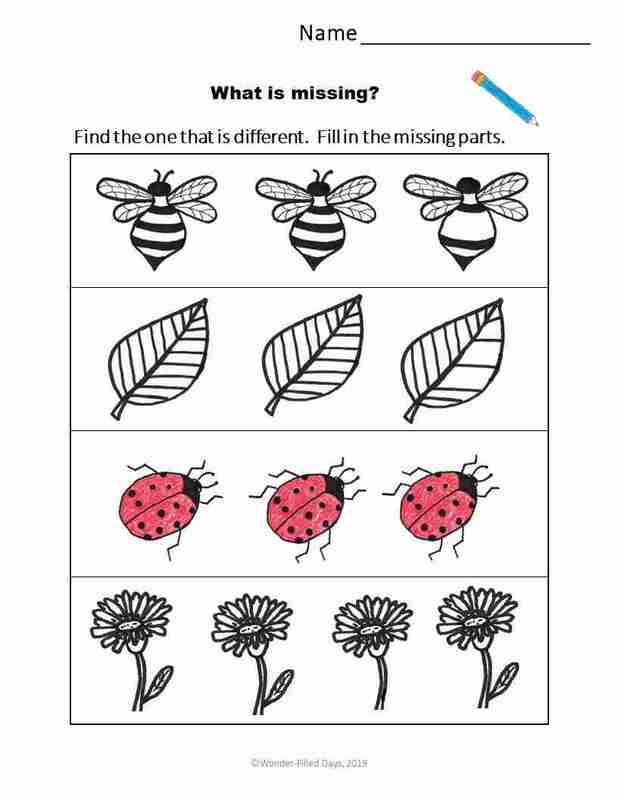 There are also some visual perception worksheets- find the one that is different, draw the missing parts, left and right, etc. Visual perception is such a handy skill when it actually comes time to learn to read– and for telling those pesky b’s and d’s apart. Here are some of the other worksheets included. I think your child will love the variety. There are 72 pages in all! Click here to go to my shop for more details.